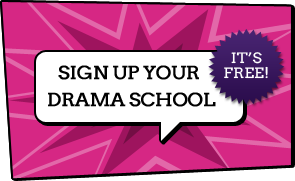 Dramaclasses.biz is the biggest Directory of Drama schools and Acting classes in the UK. We list schools for both adults and children of all ages and abilities. Our Drama schools range from Stage schools for children, weekend and after school classes to Drama clubs and Youth Theatre’s. The Schools are available throughout England, Ireland and Scotland. There are a variety of schools that offer Adult part time acting classes and full time degree courses. Drama, singing and dance classes provide performance techniques that benefit children and adults at school, work and socially. The schools offer a variety of courses including, Improvisation, TV and Film Technique, LAMDA, Shakespeare, Meisner, Method Acting and General Drama Classes, Musical Theatre and Performance opportunities. If you are looking for Summer schools, holiday workshops or short courses then please see our list of schools who are currently offering holiday workshops. Fun and affordable!.Drama, Street-Dance and Singing for children ages 3-18! At Blag Drama School in Rickmansworth children do Drama and Singing classes. Blag perform regularly in Theatre and at local events.One Free class to every new child. Week-end dance, singing and drama classes for children aged 4-18. Singing, dancing and acting for kids in one session at Leicester High School, 454 London Road, Leicester or Wigston College, Station Road, Wigston, Leicester. Weekend dance classes, singing lessons and drama classes, covering all three disciplines of the Performing Arts, for children aged 4-18. Stagecoach offers a safe environment where talent can be nurtured and provides a range of performance opportunities combined with week to week classes in singing, acting and dance for children aged 4-18 years. A Bedfordshire based theatre school offering dance classes, singing lessons and acting classes for 5-17 year olds in two locations across Bedford, Bedfordshire. Our uniquely structured performing arts courses cover all areas of the performing arts (acting, singing and dance) and give our Bedfordshire stage school students the opportunity to hone their skills in full scale musical theatre performances. We offer a free trial session to all those interested in joining The Academy Of Performing Arts, Bedford, Bedfordshire so; if you would like to improve your acting, singing and dance skills and are ready for all the challenges that our theatre school can provide; apply now at www.theacademyofperformingarts.com and we'll see you in the dance studio! Professional training in acting, singing and dance for 5-17 year olds. Dancing, Singing and Drama classes in Aylesbury. Weekly classes and Summer Holiday Workshops for children aged 4 - 18 years. CREATIVE, DYNAMIC, UNIQUE PERFORMING ARTS TRAINING FOR STUDENTS AGED 6-21. BARTA Theatre Academy provides an environment for Performing ARTs based learning and is committed to providing the highest levels of drama, dance and vocal training, workshops and performance opportunities. BARTA Theatre Academy, where creativity meet opportunity. Drama-Singing-Improvisation-LAMDA Exams-Festivals-Holiday Projects-FUN in Chesham near Amersham! Blag 'Training Ways' is an arm of Blag Theatre Company, they provide team building training sessions at a venue of your choice. Bodens is a Performing Arts School for children and teenagers. Established in 1973, we educate, build confidence, engage with each other and the local community, and train those that want to be ready for the outside world of performing arts. We aim to transform the lives of young people through inspirational teaching, providing exceptional training in performing arts and access to higher education and career opportunities in the creative industries. Many are currently working professionally in Television, Film or Theatre. They have fun, gain confidence and self assurance - this helps them to believe more strongly in themselves! We have professional premises, and all our fully qualified tutors are constantly undergoing professional development to provide ever-changing classes in a world of ever-changing children. There are classes for all age groups and abilities - from 3 to 19 years. Open seven days a week for after school and weekend courses. We offer FREE TRIALS in all of our classes. Discounts for siblings. Holiday courses. Bright Movement Performing Arts (BMPA) is a new performing arts school based in Surrey and Hampshire, focusing on creating a fun, non-pressured environment for students to come and just be themselves. With teachers highly skilled in each discipline of the performing arts, BMPA is an exciting new venture launching with our Film Week Summer School in August 2019. We offer weekly professional training in acting, singing and dance for ages 5 through to adult. We also have LAMDA classes and one to one tuition both in Sheffield and Manchester. This is overseen by Director Ruth Carney who is a working BBC TV and West End and Broadway Theatre Director. More about Ruth can be found at www.ruthcarney.co.uk Our students have had a lot of success getting into drama schools such as LAMDA, Bristol Old Vic, Guildhall, East 15 and Rose Buford. Many of our students also work in the professional theatre, television and film world. We also have many students in the National Youth Theatre of Great Britain. Welcome to "Curtain Up". We are a drama company based in Croydon, in South London. We teach speech & drama to children, young adults and adults.We run weekend and after-school classes for groups and individuals for all ages 5- 18 years, at all levels. We also offer LAMDA Examination training and take part in the Croydon Festival for Music and Drama. Welcome to Stagecoach Teddington where we provide quality part-time training in the performing arts for children aged 4-18yrs.Our aim is to nurture and develop young potential through singing, acting and dance classes in Teddington, stretching young imaginations and building confidence. As part of the largest network of part time performing arts schools in the UK, Stagecoach Teddington is more than just a stage school. From camera acting classes, creating films, workshops with West End Stars, performances in the West End, backstage tours to London's tops theatres, singing classes, acting classes, dance classes for kids in Teddington and the surrounding areas this is the place to be. Both Will Chitty and his wife Sarah Chitty (Stagecoach Twickenham) believe that the power of creativity and the Performing Arts can really help your child to flourish. Call 0208 977 0843 to find out more! Private Drama Coach available day time and evenings. At Theatretrain you will get a Professional experience of Theatre, with experienced Teachers, at a fantastic price. We are the company that loves to perform and we welcome students of all abilities and experience. At Theatretrain you'll have fun, whilst you develop your imagination and performance skills, and build your confidence. With centres in St.Albans & Hertford , Best is an exciting introduction to theatre for kids. Singing, drama and dance for all ages. Dramawise is for students aged 5-16yrs. We try to inspire confidence. And pleasure in all kinds of theatre. Sessions go by age and ability and culminate in our top group who visit the Edinburgh Fringe Theatre to perform a Shakespeare play for a week. 2017 production of Taming of the Shrew gained a four star review and a Festival Fringe Trophy for the best youth cast under 18yrs. Classes in Glasgow to help young people, 5-17 years, develop enthusiasm, confidence, self esteem and social skills. We develop confidence, communication & social skills and creativity through our dynamic, affordable Development Through Drama classes. All of our DBS checked, specially trained teachers follow a professional, structured curriculum. Classes are great fun and allow every child to develop at their own pace. Run by a West End Musical actress and a team of dedicated and inspiring tutors , Jesters is THE place to discover your talents and sense of adventure! Drama, Singing and Dance in a family atmosphere with unforgettable and imaginative experiences! Classes for ALL ages! Jigsaw Performing Arts Schools offer children a 90-minute or a 3 hour session depending on age divided into three sections of dance, drama and singing. Jigsaw was established in 1995 and run classes in Cardiff. Jigsaw Performing Arts Schools offer children a 90-minute or a 3 hour session depending on age divided into three sections of dance, drama and singing. Jigsaw was established in 1995 and run classes in Chelmsford. Contact Jigsaw Performing Arts School in Chelmsford on 020 8447 4530. Contact Jigsaw Performing Arts School in Chelmsford on 020 8447 4530. Jigsaw Performing Arts Schools offer children a 90-minute or a 3 hour session depending on age divided into three sections of dance, drama and singing. Jigsaw was established in 1995 and run classes in Crouch End, London. Contact Jigsaw Performing Arts School in Crouch End | London N8 on 020 8447 4530. Jigsaw Performing Arts Schools offer children a 90-minute or a 3 hour session depending on age divided into three sections of dance, drama and singing. Jigsaw was established in 1995 and run classes in Croydon. Contact Jigsaw Performing Arts School in Croydon on 020 8447 4530. Jigsaw Performing Arts Schools offer children a 90-minute or a 3 hour session depending on age divided into three sections of dance, drama and singing. Jigsaw was established in 1995 and run classes in Ealing London. Contact Jigsaw Performing Arts School in Ealing on 020 8447 4530. Jigsaw Performing Arts Schools offer children a 90-minute session divided into three sections of dance, drama and singing. Jigsaw was established in 1995 and run classes in Enfield. Contact Jigsaw Performing Arts School in Enfield on 020 8447 4530. Jigsaw Performing Arts Schools offer children a 90-minute session divided into three sections of dance, drama and singing. Jigsaw was established in 1995 and run classes in Finchley. Contact Jigsaw Performing Arts School in Finchley on 020 8447 4530. Jigsaw Performing Arts Schools offer children a 90-minute or a 3 hour session depending on age divided into three sections of dance, drama and singing. Jigsaw was established in 1995 and run classes in Harlow. Jigsaw Performing Arts Schools offer children a 90-minute or a 3 hour session depending on age divided into three sections of dance, drama and singing. Jigsaw was established in 1995 and run classes in Harrow and Hendon. Contact Jigsaw Performing Arts School in Hendon on 020 8447 4530. Contact Jigsaw Performing Arts School in Ilford on 020 8447 4530. Jigsaw Performing Arts Schools offer children a 90-minute or a 3 hour session depending on age divided into three sections of dance, drama and singing. Jigsaw was established in 1995 and run classes in Potters Bar. Contact Jigsaw Performing Arts School in Sevenoaks on 020 8447 4530. Jigsaw Performing Arts Schools offer children a 90-minute or a 3 hour session depending on age divided into three sections of dance, drama and singing. Jigsaw was established in 1995 and run classes in Stevenage. Contact Jigsaw Performing Arts School in Stevenage on 020 8447 4530. Jigsaw Performing Arts Schools offer children a 90-minute or a 3 hour session depending on age divided into three sections of dance, drama and singing. Jigsaw was established in 1995 and run classes in Surbiton. Jigsaw Performing Arts Schools offer children a 90-minute session divided into three sections of dance, drama and singing. Jigsaw was established in 1995 and run classes in Winchmore Hill. Contact Jigsaw Performing Arts School in Winchmore Hill on 020 8447 4530. KYT in Canterbury incorporating KYT, STAGEBUGS, JUST BIG KIDS and the KYT AGENCY is a stage and screen academy. Being a stage for any age our students grow with confidence as we offer them as many performance opportunities as possible - on stage and in films. Little Voices offer outstanding tuition, expert guidance, support and traditional methods of teaching drama and singing. Children are taught by passionate and highly qualified tutors, in groups of no more than 6 or 8 pupils, working towards accredited Musical Theatre, Drama, Acting and Communication Examinations. Classes are held on Wednesdays between 4pm and 7pm. Our ethos is that each child achieves personal growth and progression in EVERY lesson. Little Voices does so much more than teach singing and drama. We teach life skills and encourage children to develop a strong sense of self, resilience and passion. We want to awaken and nurture their desire to get the most out of life. Don't just take our word for it, come along and see for yourself! At Little Voices Essex North Central we offer Drama and Singing lessons for 4-18 year olds, helping to build confidence, enhance a CV and to learn valuable skills for life, all while working towards LAMDA examinations in Musical Theatre and Acting. Teaching takes place in small groups of no more than 8 children which leads to great friendships as well as teamwork. Little Voices has a 100% pass rate for LAMDA examinations and is an accredited, 5 Gold Star member of the Children's Activities Association. Little Voices in Guildford welcomes children aged 4 – 18 years. We provide performing arts training in singing and drama working towards LAMDA examinations whilst building confidence and promoting each child's personal and social development. Musicality Academy is an award winning musical theatre company. The Academy was established in 2008 and has since continued to grow and flourish into a highly regarded and well respected company. Musicality prides itself on attaining high standards and offers exceptional opportunities and training. Quality, affordable, accessible classes to children and young people aged 3-19 in all areas of the Performing Arts including Dance, Drama, Singing and Music as well as holiday workshops. Classes take place in our building with five floors of fully equipped studios and music rooms. All teachers are professionals in their field and hold current enhanced DBS checks. NYT is passionate about musicals and the Performing Arts! Annie, Fame, Bugsy Malone, Guys and Dolls and High School Musical are some of the exciting performances that your child could take part in. Drama school in Lincoln, 3 productions a year. Welcome to Newport Pagnell School of Performing Arts, home of affordable and accessible drama activities in Buckinghamshire. From weekly drama classes to fun-filled holiday workshops, we welcome children aged 6-18 years, no matter what level of experience you may have. We strive to ensure that all our activities are as affordable and accessible as possible, whilst maintaining high-quality teaching from industry professionals. All our teachers are Enhanced DBS checked, helping ensure that your child is in safe hands. We hope that you find all the information on this site useful; however, should you have any questions, please don't hesitate to contact us. Here at P.S Theatre my aim is to engage children and young adults across the community. With three performances a year, P.S also strives to work alongside charities and local organisations to raise money, awareness and spread happiness through theatre. P.S Theatre will focus on: - Your child's confidence - Improvisation skills - Writing - Development - Friendships - Social skills I understand that every child is different and we wish to give young people the confidence to express themselves. Each week classes will aim towards performances, festivals and events. P.S Theatre is a contemporary performance company. Our performances will be a combination of traditional performances and performances responding to social issues. Performances will be both 'end on' and site specific; teaching a wide range of diversity. Contemporary performance teaches a wide set of skills. BUT most importantly.... P.S Theatre sets out to have fun! Pauline Quirke Academy (PQA) is a weekend performing arts Academy providing tuition for children and young people from 4-18 years. Students spend three hours with us, rotating through hour-long sessions in Comedy & Drama, Musical Theatre and Film & Television. Students are split into groups according to their age and are taught by specialist teachers. Stagecoach Brentwood builds children's confidence and skills through drama classes, dance classes and singing lessons. Contact Performing Arts School Stagecoach Brentwood on 01702 525112. Welcome to Stagecoach Portishead where we provide quality part-time training in the performing arts for children aged 4-18yrs. We believe our classes can help every child reach their potential and will make a difference in whatever they want to be, giving them the tools to explore, perform, create and take risks in a safe and nurturing environment. We are proud to offer a full and rounded education, teaching life skills to build confidence and stretch imaginations, allowing each child to develop at their own pace with the support of the group. There is no audition to join and no experience necessary. We welcome all levels and abilities. Come and join in the fun! We offer high quality, affordable training for children aged 2-18 years in the Performing Arts in Barnet. We provide weekly sessions in dance, drama and singing in one session. High quality, affordable performing arts tuition for children ages 2 to 18. Including musical theatre, commercial & authentic street dance by professionals. Razzamataz Theatre Schools is a part-time children's theatre school for boys and girls aged four to eighteen that provide training in Dance, Drama and Singing in both Musical Theatre and Commercial styles. At Razz we aim to develop a child's confidence, improve their social skills, increase their health and fitness levels and ensure they have lots of FUN! All in a safe and secure environment with fully DBS checked and qualified/experienced teachers. Razzamataz Theatre Schools Sheffield is an award winning school providing high quality tuition in dance, drama and singing for ages 2-18 in both Musical Theatre and Commercial styles including Street Dance, Pop Singing & TV. In 2018 they were presented with Most Outstanding School in the Razzamataz network for the fourth time and reached the finals of the BFA Young franchises of the year. Performing Arts classes in Singing, Dance and Drama for 4-18 year olds! We offer training in Musical Theatre and Pop singing and Commercial and Street dance. Classes take place from 9.30am on Saturday mornings at Cressex Community School in High Wycombe. Go to highwycombe.razzamataz.co.uk to book your FREE TRIAL now! We also offer summer schools and Birthday Parties. Every Saturday morning we provide fun and vibrant training in Street Dance, Musical Theatre, Singing, Acting and Physical Theatre. Why not come along for a free taster session? Book a Free taster session at Tonbridge and experience our dance, drama and singing classes. Razzamataz is a part time theatre school teaching musical theatre, pop singing and street dance to students from 2 to 18 in a safe and fun environment. Razzamataz school in Yeovil provides training in dance, drama and singing for ages 2-18 in both Musical Theatre and Commercial styles including Street Dance & Pop Singing. We aim to develop a child's confidence, improve their social skills, increase their health and fitness levels and ensure they have lots of fun! All in a safe and secure environment with fully DBS checked and qualified/experienced teachers. Call Claire now on 01935 411128 to book your FREE taster session. Term-Time, weekly Drama Club running on Monday and Thursday evenings in Merton Park, for children aged 3-17. We also run a Performing Arts Programme on Saturday mornings focusing on acting, singing and movement. Stagecoach in Reigate is now accepting new students. Join us now for our new Term. All children from 4 years to 18 years welcome. Private and class Acting coaching and training available. I focus on Beginner to Professional in areas of Acting, Improv, Voice, Body Language and Stage Presence. Classes are on a first come first serve basis and there is often a waiting list. Venues in Amersham, Northwood, Rickmansworth, Ruislip & Stanmore. Musical Theatre Classes, Productions, Theatre Summer Schools, LAMDA, Singing, Acting, Dancing, Performing. Drama and singing lessons in Fulham.LAMDA and Trinity Examinations. Singing and Drama School Little Voices Richmond. Singing and Drama Classes Richmond. Drama and singing lessons of distinction in Richmond. Weekly classes for children. Drama and singing lessons in Woking LAMDA and Trinity Examinations. Stage & the City offers a wide range of after-work performing arts courses for adults in London that wish to have fun as well as learn new skills. Our courses include musical theatre, acting, dance, singing and comedy acting. Drama,singing and dancing classes for kids in Bristol North. Main School-3 hours of dance, singing and drama for ages 6-18. Early Stages-90 mins for ages 4-6. Weekly classes on Friday and Saturday morning teaching acting, singing and dance so children learn confidence and enable them to communicate better. For children four to eighteen years after school and at weekends. Drama - Dance - Singing for ages 4 - 18. Real performing arts training, led by theatre professionals. Confidence Building. Performances, Exams, Reports, Costumes, Lights, Make-Up! Believing in the potential of every child. Quality training est. 1988. Fantastic, friendly and fun-filled! Our drama, dance and singing classes run in Leatherhead, Surrey during term-time on Fridays and Saturdays. Holiday workshops are also available, and are open to non-Stagecoach students. No experience is necessary. Call NOW to book your places. First come, first served. We provide fun and engaging classes in drama, dance and singing for children aged 4 to 18. Our classes are taught by a professional and experience team of professionals. We have been providing high quality part-time training in the performing arts for children aged 4 - 18 years. Our aim is to nuture and develop young potential through singing, acting and dance classes, stretching young imaginations, boosting creativity and imagination, building confidence and life skills whilst also having fun. At Stagecoach Performing Arts School Blandford Forum we teach key skills in dance, drama and singing to children and teenagers aged 6 to 18 in the Blandford and surrounding area. Saturday and Thursday classes for dance, singing and drama for ages 2-18, taught by professionals in Braintree. New Mini class 2-4 years. Drama-Singing-Dancing for ages 4-18, taught by professionals in Bristol Started in 1995 and recently relocated to Redland Green School there are three Early Stages classes and two main schools running at Redland Green School on saturday mornings. Weekly dance classes, singing lessons and drama classes, covering all three disciplines of the Performing Arts, for children aged 4-18. Stagecoach in Croydon and Purley Providing quality teaching and training for 4-18 years in all areas of the Performing Arts -developing confidence and life skills whilst having fun. Dance, drama and singing classes at Stagecoach Didcot. Stagecoach Ealing is registered with OFSTED so adheres to their high standards. We, therefore, accept Childcare Vouchers. We have been credited for being the top 5% of the network gaining 100% in all four categories: dance, singing, drama and Principal leadership. Stagecoach Fleet runs classes & workshops in dance, drama and singing. Run by West End Agent and casting director Danica Pickett. Weekly classes for 4-16 year olds at weekends and after school. Ages: 4 - 16 Years. Stagecoach Leamington Spa provide high quality performing arts training for children, aged from 4 to 18 years. Build confidence, social skills and have fun with Stagecoach. Classes for 4 to 16 year olds in all 3 performing arts disciplines. Dance, drama and singing classes in New Malden. Our students also have the opportunities to perform in local, regional and national theatres or take part in TV or Film auditions. Dance, singing and drama for ages 4-18, taught by professionals. Classes held on a Friday evening. Stagecoach Southampton. Down-to-earth quality training for 4 to 18 yrs. Weekly Drama, singing and dance lessons in Leigh on sea, Southend. We also host Children's parties. Contact Stagecoach Performing Arts School Southend on 01702 525112. At Stagecoach Drama School in Swansea children do Drama, dance and Singing classes. Stagecoach perform regularly in Theatre and at local events. Friday and Saturday classes of dance, singing and drama for ages 4-18, taught by professionals in Taunton. Performing Arts School in Trowbridge and Frome. Singing, dancing and acting. Classes for all ages from 2-19 years. National and local performances including Disneyland Paris and the West End of London. Exams with Performance Arts Awards, LAMDA, Trinity and LCM. Two Week Trials are available for new students. Drama, Singing and Dance classes for children aged 4 to 18 years. Drama, singing and dance classes each Saturday in Wickford. Contact Stagecoach Performing Arts School Wickford on 01702 525112. Saturday classes of drama, singing and dance for ages 4 to 18, taught by professionals. Tamworth Drama School 01827 780344 - Dance, Singing and Drama for ages 4 - 18, Coaching by professionally qualified teachers and performers in the Acting, Singing and Dance professions in Tamworth. Classes in Drama, dance and singing in Stanmore and Harrow for children aged 2 to 18. Summer workshops during school holidays. Stagecoach offers Performing Arts training for children aged 4 - 18. Early Stages classes (ages 4 - 6) last 90 minutes, children learn through lots of games and play as well as developing skills in dance, singing and drama. Main Stages (ages 7 - 16) last 3 hours and the classes are more focused on skills development. Classes are taught with industry professionals who specialise in their subject. We offer regular performance opportunities in and out of Stagecoach. Further Stages (ages 16 - 18) last 3 hours and is for students who are looking to go into the Performing Arts industry, whether in performing, backstage, makeup artist or set design, we offer a wide range of learning helping build on the skills students will need to take their passion further. Dance classes, singing lessons, and drama courses for children from age 4 to 18. LAMDA acting exams from age 7. Summer holiday theatre course in August where kids and teenagers can try out the Stage School experience, have fun and make new friends in a safe and professional environment. Sing, dance, and act now to build on confidence and stretch your imagination. Drama, Singing and Dance classes in Derby every Saturday and Sunday during Term time. Classes for children from 4-18 years. Weekly Drama, Dance, Musical Theatre and Music classes in Twickenham, Hampton Hill and Sunbury. We also offer a range of summer schools & holiday workshops, school workshops, youth theatre, masterclass, playwriting courses as well as LAMDA, ISTD, ABRSM and Trinity examinations and festival/audition preparation. Top class Theatre school.Street Dance,pop singing,Drama and Musical Theatre. Saturday Performing Arts classes for children aged 7 – 16 in Tenterden, Kent. An Independent theatre company for young actors aged 6 to 18. Dedicated to the creation of new, exuberant and audacious performance. A place to vent funny, unsettling, inspiring and mythical untold stories and reinvigorate known stories using physical and visual theatre. The Drama School Exeter has its own bespoke premises over two floors in Heavitree, Exeter. We offer a wide range of Performance and Communication courses, aiming to inspire and train young performers to a high standard through fun, exciting and challenging professional tuition. Part time courses fit around school, college and work timetables.